Esteban Chaves. Tour de France 2016? Home/Uncategorized/Esteban Chaves. Tour de France 2016? Esteban at Vuelta. Tour next? 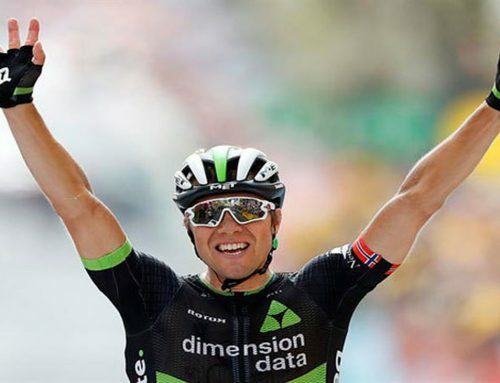 As cyclingnews.com points out, little Colombian climber Esteban Chaves is one of the revelations of the 2015 season. Fifth overall at the recent Vuelta a Espana, he will likely win his first stage race on Sunday, finishing out a tremendous season with victory in the Tour of Abu Dhabi. The kid is only 25 and faced numerous injuries after turning pro and was only working his way back last year when he won stage 6 of the Tour of California at the summit of Mountain High. We were at the top of that mountain at the press conference. Chaves looked painfully shy like a seven year old called to the front of the class to sing. 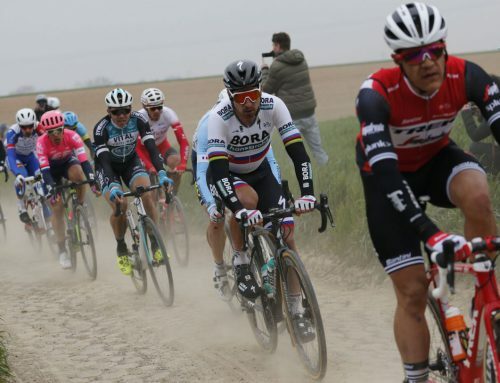 But there’s no doubting his legs and there is a little Nairo Quintana in Esteban — he learns quickly, ins’t afraid to attack and his confidence seems to grow with every good performance. Coming out the the Vuelta he continued his run of good form and showed he is just as dynamic in a one day WorldTour racing, picking up eight at the Giro di Lombardia. He’s done the Giro d’Italia and the Vuelta and after an exponential jump forward, he is already thinking bigger for next year as the 2015 season wraps up. 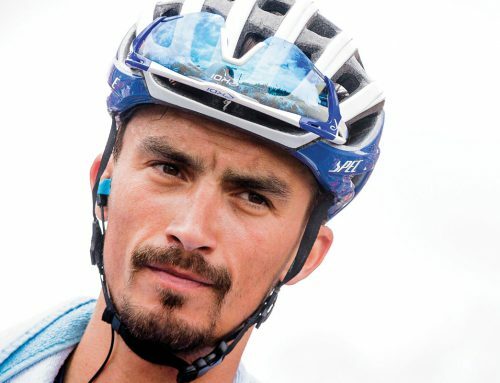 Chaves is 25 so do the math on that: he’s been aiming for the Tour de France for 20 years. That sounds like passion and commitment and drive to me. 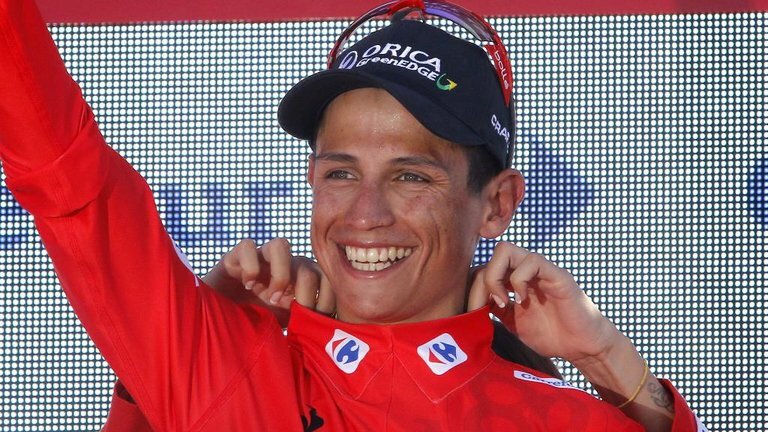 We’d love to see Chaves in the 2016 Tour de France and perhaps he and Quintana will link up on some 15% grade and take turns opening the gap on Froome. Something to look forward to — and Chaves clearly has the same dream in mind. “I can now say I can be competitive in a three-week race. Next year maybe I can try for one big Grand Tour again and see what the results are,” says Chaves. 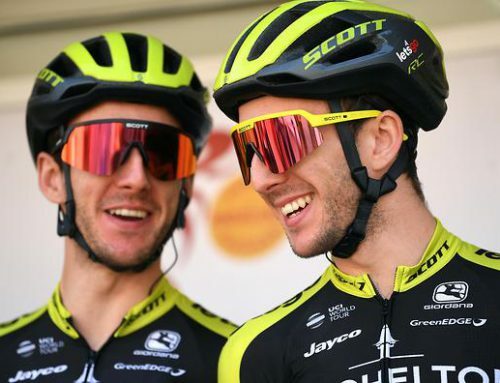 Erica-GreenEDGE isn’t exactly a stage race superpower yet but with Chaves and the Yates brothers, suddenly they are in the mix. Chaves will win Abu Dhabi, at 50 celsius and 120 degree Fahrenheit, the undisputed hotbed of cycling. This is a guy just heating up. We here at the FFCB “Fat Fart’s Cycling Bureau” see little Johnny Rubio as a potential threat to the aging Jack Rodriguez, Vinny Nibbles, Sissy Froome and our resident kids on the block, Al Rojas and Joe Doe. He’s quick, poised and full of himself. If The Men Down Under groom him right he could be great. But with Patty White still there in the front office, I am suspicious that everything is not on the QT in the bush with this kid.